Have you had your flu shot? I haven't! In fact, I've NEVER taken a flu vaccine and neither have my children. 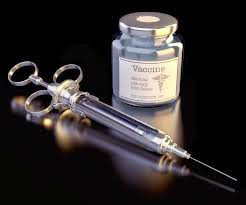 If I could go back to my children's childhood, I would take a religious exemption from all vaccines not because of my religion but because it's the only way I could legally avoid the shots and them still attend public school. The government has us right where they want us. Controlled! I'm not a doctor or have any medical training other than self-taught through experience and reading materials. I am also self-educated on alternative treatments including herbs, acupuncture, chiropractic, massage, colonics and reflexology. I've personally tried and still use combinations of these fields. I am very thankful for the medical profession since being born with a birth defect of both feet required extensive surgeries and enabled me to walk. I've had 13 surgeries total including lithotripsy, hysterectomy, cholecystectomy, tonsillectomy, two c-sections and shew! I think that's it! I certainly believe in traditional medicine but let it be known my primary prevention and cure of choice are alternative methods. My experience with the flu shot and my immediate family has further persuaded me it is not a good choice except in certain situations. My otherwise healthy father had never taken the flu shot. He's 76 and took the flu shot two years ago for the first time. Three days afters, he started showing signs of a stroke and suffered a brain bleed. Google it! Stroke after the flu shot happens more than you might think but no warning is posted on the Center for Disease Control's side effects page. My very healthy Mom (age 73) suffered severe shortness of breath the past two years she's taken the shot. The 2013 flu shot sent her to the doctor's office two times for antibiotics and steroid shots. Although, most doctors are convinced elderly folks should have a flu shot, no exceptions. My husband, who has pulmonary fibrosis, gets the pneumonia and flu shot. The pneumonia shot did not produce any ill effects. The flu shot always gives him severe body aches. He continually fights an achy body most days due to Anti-synthetase syndrome, an auto-immune disorder. I reluctantly agree with the use of vaccines for individuals with impaired immune systems. We began seeing a functional medicine doctor who practices nutrition and alternative medicine. Functional medicine seeks cause and cure instead of treating symptoms with pills for a lifetime. Ultimately, your health is your responsibility. Your health is your choice. Please chose wisely by seeking uncensored factual information and the advice of your primary physician. I read a lot of Dr. Mark Hyman's articles who started the Functional Medicine movement. I find them extremely informative and helpful. Read what he has to say about who should take the flu shot in his blog post: The Flu Shot: Helpful or Harmful. Leave me a comment with your experiences with the flu shot: good or bad.